Motorola's Indian Twitter account has been hinting at the Moto Maker launch with all the subtlety of a thrown brick. The prospective launch date, or perhaps merely the initial announcement, looks like a go for tomorrow, June 15th. Current iterations of Moto Maker allow users to customize the front, back, and metal trim of the Moto X, with some exotic materials like wood and leather available for an extra charge. Engraving is included, and users can select 16GB, 32GB, or 64GB options for storage. India may or may not get the more premium back options right away - Motorola's suppliers for the materials come from different parts of the world. It's likely that a third-generation version of the Moto X would be offered with customizations as well - the fact that Motorola is still expanding the service two years later means that they're satisfied with the current response. Apologies, Indian readers: because Motorola, a company that's made marketing campaigns based on phone customization and creativity, released tweets about choices and blueprints, we assumed it meant that they were expanding said campaign into a new territory. 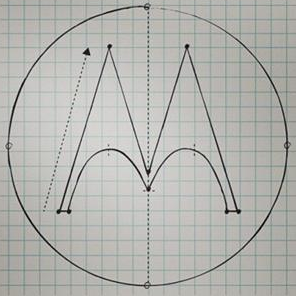 Nope, it's just a dumb promotional competition to celebrate the 20th anniversary of the Motorola logo. Yay. A few winners who follow the instructions from Motorola India will get free customized phones, but there's no large-scale rollout of Moto Maker in India today.